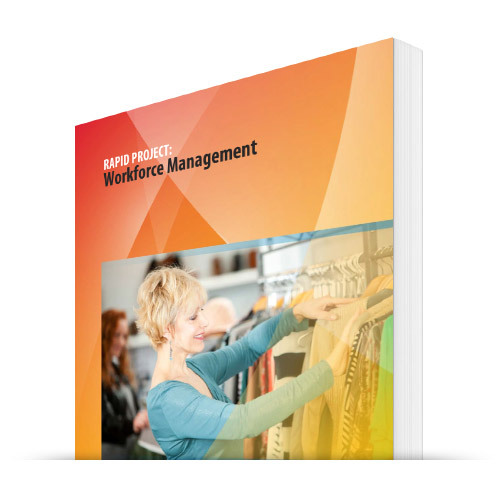 The RAPID Workforce Management Toolkit gets at the heart of the store employee to retailer relationship, providing a comprehensive set of worksheets to quickly and effectively help you make a decision on the most appropriate management system for your largest variable cost – your labor at the stores. Designed in partnership with C-CORE Consulting Group and incorporating the NRF-ARTS RFP Framework, the RAPID Workforce Management Toolkit is designed to cut months out of the selection process for your Workforce Management Solution. The toolkit begins with the Strategy Scope and Business Processes that are involved in the new selection, defines scope and requirements, manages the vendor evaluation and selection process, and provides the project management startup. As part of the Toolkit process, the knowledge is transferred from the IHL-C-CORE team on how to use the Toolkit to the retailer. We lay the groundwork, provide the due diligence outline and worksheets to manage the project, then guide the retailer to taking on the responsibility of making the best decision for their company. Not Re-inventing the Wheel – Content Embedded Templates jumpstart scope development and ensure all key project participants, Business, IT and Vendors, have a common understanding of project scope and deliverables. Quite simply, speed and experience. When you deal with IHL/C-CORE you are dealing with a core group of experts with over 100 combined years of Research and Implementations. When you use one of the large consulting outfits you are generally receiving the low level experienced personnel in the engagement or paying exhorbitant fees for the principals and a delayed project timeframe. 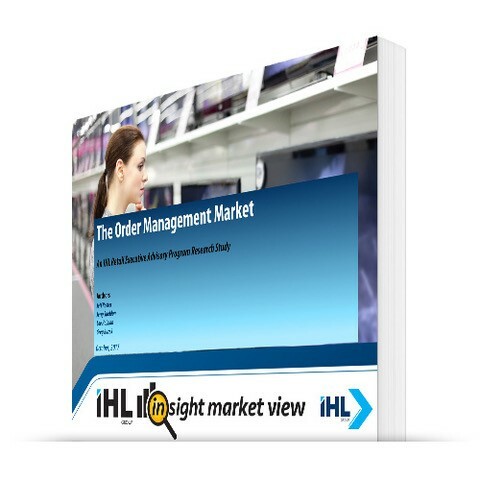 With IHL/C-CORE – you get both the speed to market and the experience of many installations and vendor selections. 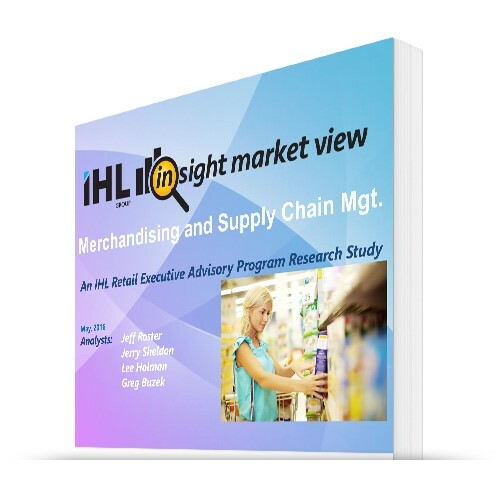 Finally, utilizing IHL’s Retail Technology Database, we are quickly able to find multiple references for each vendor (not just the references they hand select). Together, IHL/C-CORE can provide an unmatched solution of technology insight, contacts, and selection/implementation. 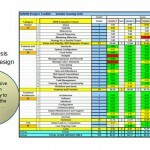 Will the toolkit work effectively with my existing project methodology? The Toolkit is content rich and designed to be quickly aligned with project management best practices. 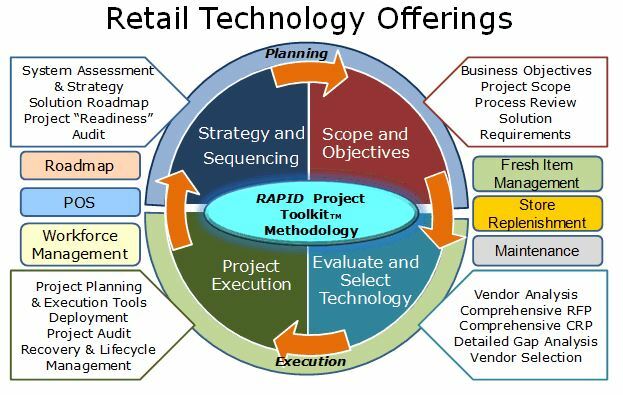 The Toolkit focuses on jump-starting the requirements definition and vendor evaluation and provides Microsoft office compatible based templates easily converted to a retailers templates and methodology to launch the project quickly while leveraging the project disciplines that retailers have developed in their IT organizations. Why would I need to use the toolkit? I have a strong IT organization. Vendors and Retailers have both expressed concerns over the challenges of starting a project such as a WFM implementation. Many of the resources responsible for the current platform support have been promoted, or moved to other organizations. 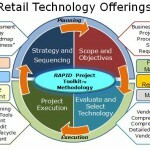 Typically, retailers have not placed much value in creating and updating process and requirements repositories. The RAPID PROJECT TOOLKIT provides the mechanism to jump-start the process and move through business requirement definition and vendor selection quickly. Why would I not use the ARTS RFP instead of this toolkit? 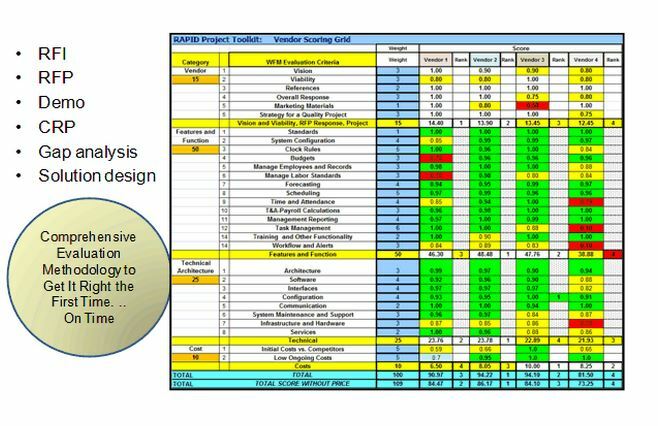 The Rapid Toolkit includes the ARTS RFP Framework but takes the process to a much deeper level than just the business requirements and an RFP template. 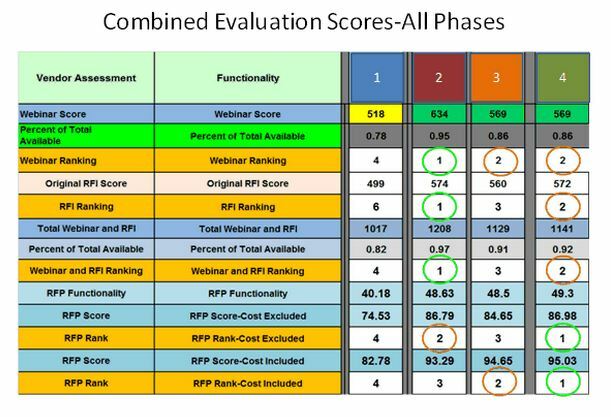 It provides tools and templates for due diligence around the vendor evaluation and scoring process required today due to SOX. 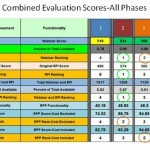 It also includes training requirements estimates, deployment plans, testing plans and risk management templates. 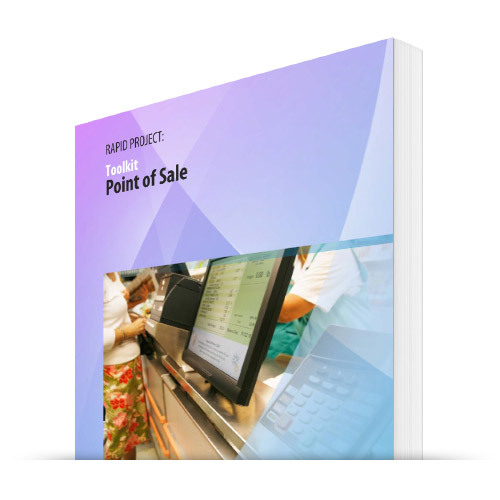 Finally, the RAPID PROJECT TOOLKIT also provides a user adjusted weighting system so that the retailers can present the RFP according to the most important needs of the retailer. In other words, it allows the retailer to direct the RFP towards how they operate rather than a standard industry document only. How much help will I need to use this toolkit? We estimate that the skills transfer can take place in 10 full productive days, including customizing the information for the retailer’s business, depending on the complexity of the retail operation. Pricing for the RAPID Workforce Management Toolkit includes a product license fee for the tool and consulting/training from our experts. For more information, please contact us as at 615-591-2955 or click below to send an email. At Sobeys, the Rapid Project Toolkit has greatly accelerated our timelines and provided significant savings to total project costs. We firmly believe in the toolkit methodology. Our cross functional team was amazed at the level of detail the Workforce Management Toolkit helped them to think about. We used the POS Toolkit & I recommended using the Workforce Management one knowing the value we’d get from it and so far we have. Ed Collupy, VP of Information Technology, The Pantry, Inc.
We will use this toolkit approach for all future projects. The Toolkit has saved my team 6 months in trying to define requirements and pull this project together. I never thought we would get to RFP this quickly. I am blown away by the toolkit and the amount of work you guys have put into this, all for the benefit of the retailer.